Lot:9445 Fr. 2404. 1928 $50 Gold Certificate. PCGS Currency Extremely Fine 40. Fr. 2404. 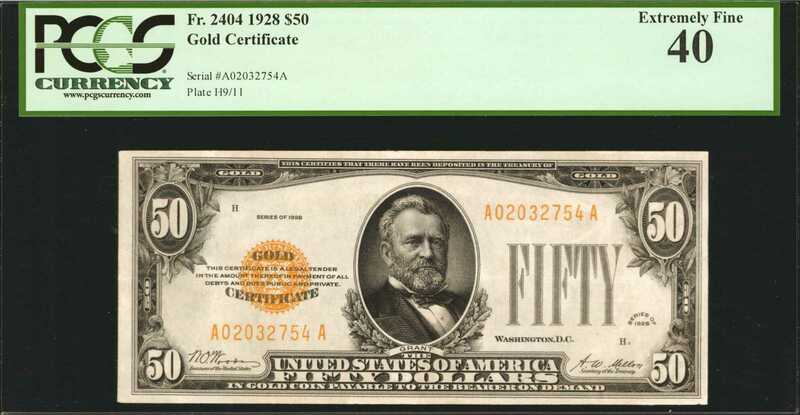 1928 $50 Gold Certificate. PCGS Currency Extremely Fine 40.This $50 Gold Certificate is seen with nice large margins all around, good overprints of the seal, and serial numbers. A pleasing high end circulated example.